eBook: Trends in m-Commerce - iStart leading the way to smarter technology investment. This article was originally featured in iStart technology in business magazine. 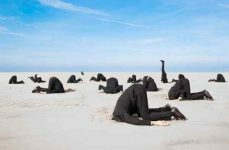 Is digital marketing in crisis? Facebook and Google, Google and Facebook. What lies beyond the digital marketing duopoly?.. Remember the days when your pockets jingled with copper coins and you had to borrow a pen at the till to write out a cheque? Those loyalty, eftpos and credit cards you now use instead are about to be replaced by something as ubiquitous – your personal and always connected mobile phone. Mobile and wireless communication technologies are being adopted with unprecedented velocity. Two-thirds of the world’s population, 4 billion people, have a mobile phone with a predicted 5 billion subscribers by the end of this year. Within 2-4 years more people will access the internet from their mobile devices than from their desktop PCs. The worldwide smartphone market grew 50 percent year over year in the second quarter of 2010, and a recent study by Juniper Research forecasts that nearly half of all mobile phone users worldwide will pay by mobile for digital and physical goods by 2014. Couple that with the success of touch-based tablet devices and we are likely to see the addition of manyfold new subscribers in markets already considered saturated. Then add to that base a new legion of IP addressable machines as subscribers – your car, fridge, games console, TV and so on. We’re amidst a new computing cycle. From the mainframe in the 1960s, mini computing in the 70s and personal computing in the 80s, we are now in rapid transition from the desktop internet computing of the 90s to a new era of mobile internet computing. This movement is happening at an unprecedented rate – at 8 times the speed the PC web was adopted. This rate of change and innovation is due to the convergence of a number of key trends including 3G high speed mobile access, social networking, video over IP, VoIP, cloud technology and impressive mobile devices. Typically when a new technology hits 20 percent penetration is when it goes on into the mainstream of early majority. Globally that inflection point for 3G adoption, varies by region. Japan reached it many years ago with now 99 percent 3G penetration. Meanwhile North America and Western Europe surpassed 20 percent in 2007 and 2008, and for Asia Pacific (excluding Japan), 3G is set to hit that critical mass in 2011/2012. So what does this all mean for us in Australia and New Zealand? Already over 28 percent of Vodafone NZ’s customers access the mobile internet every month, 60 percent of which are via smartphones. NZ is certainly experiencing this explosive growth, with smartphones the fastest growing segment of handsets being sold. An estimated 13 percent of mobile users in New Zealand have a smartphone. At the end of Q1 2010, 48 percent of new mobile device shipments in Australia were smartphones, and it’s expected they will outpace traditional mobile phones before the end of the year. Having adopted the other technology trends of the developed markets, we are following closely in the footsteps of our larger counterparts. In fact, New Zealanders were early pioneers in the mobile arena. Ten years ago we saw M-Com leverage NZ’s historical leadership in eftpos e-payments with their breakthrough mobile banking and payment technology and now have over 180 banks on board across 5 continents (UK, Canada, Australia, USA, Thailand, Cambodia and Egypt). M-Com just recently took home two TUANZ Innovation Awards. Fronde Anywhere have also been delivering a range of mobile SMS payment services into the local market since 2001 (e.g. Txt-a-Park and Kiwibank) and are active on the international stage with the success of their mobile commerce and payments service in the Philippines. GFG Group, another local mobile payments company, have also been active in the mobile payments market, particularly offshore with their mobile payment solution adopted by large telcos in the Philippines and the Middle East. For the past decade, mobile marketing firms, Run The Red and The Hyperfactory have been leading lights on the international stage, the latter winning industry accolades and recognition worldwide. So it comes as no surprise that the company was recently acquired by one of the leading media marketing companies in the US, Meredith Corporation. Although NZ led the way, it seems we have not maintained that pioneering momentum, particularly with our online retail endeavours.We lag seriously behind our US and UK counterparts, due in part as a nation of SMEs with our small domestic market not providing the purchasing power to resource sophisticated online shopping enterprise. Also Trade Me’s success and mindshare dominance over NZ’s online shopper has slowed things down. New Zealand has the highest per capita consumption of transparent C2C trading exchanges in the world and on a per capita basis outdoes eBay in the US. Local retailers and eCommerce technology companies have been fortunate to operate in a protected market. Our small, isolated geography and high shipping costs have historically sheltered us from direct international competition. However, offshore retailers and technology-related companies are now looking abroad to grow new markets. Compounded by the growing tech savvy of our local consumers, Australasian businesses need to innovate to become competitive or lose share to international competition. Already 90 percent of New Zealand’s internet traffic is directed to offshore sites and a corresponding 70 percent from Australia. Mobile commerce has come a long way in a relatively short period of time and gone are the days of simply associating mobile commerce with SMS. To understand mobile commerce as a whole, it’s important to understand the range of technologies involved, the reach and varying audiences for different types of mobile commerce. This gives the background to then understand the overall limitations and challenges. One reason mobile commerce is so effective is that it provides businesses with a way to reach their target consumers throughout the day, and not just when they’re at their PC or leafing through a catalogue. Large international players are not wasting any time defining their mobile commerce plans. As it continues to grow overseas, mobile commerce will inevitably start to play a role here so this is the time to get up-to-speed with how it works and where it is heading. Just like the internet itself, we’re about to enter another era of disruption to business. 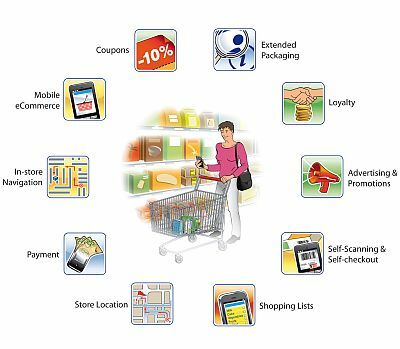 Retail shopping is about to undergo a major change with consumers using their mobiles to not only pay for goods but to use them to scan bar codes and bring up on their mobiles internet information about the products to help them make a choice. Everything from the supply chain to the customer leaving the store with the product can be traced providing firms with detailed research they could not have dreamed possible. Customers will be able to get special offers before going into stores or be tempted to pop by as they enter the area in which the store is located. This brings exciting new opportunities for a sector that has been hard hit by the recessionary climate of the last few years. So welcome to the new mobile commerce revolution. Are you ready for it? Mobile Tagging or Extended Packaging as it is also called, uses camera-based readers to scan bar codes – either the most common 1D linear ‘EAN/UPC’ bar codes or the more recent square 2D bar codes such as the QR (Quick Response) Code well known in Japan and East-Asia and designed for mobile applications. Pointing the phone’s camera at a bar code instantly takes a consumer to extended product information, a website, video content, maps, social media, contact information or even to dial a phone number. Mobile tagging is an area that provides huge opportunity for growth. The consumer does not need to type a thing to immediately engage with a product or brand. Tags can be used almost anywhere, on product labels, posters, print, the back of a bus, T-shirts, storefronts or even on television. Air New Zealand leads the way being the second airline in the world to provide RFIDenabled self-scanned check-ins with their ePass, and their mPass mobile app with a built in 2D Bar Coded Boarding Pass (BCBP) and available for the Android, iPhone and Jave ME feature phones. Air New Zealand took home two TUANZ awards last year – the ‘big’ Overall Award and the TUANZ Initiative of the Year award for the ePass, mPass app, and self-service kiosks. The majority of mobile intensives are Gen X or Y and own a smartphone, earn higher incomes, and the first or second thing they do when they wake up is check their mobile phone. This group and their data usage is growing rapidly (and demographics widening) while the numbers for Mobile Casuals are stable and the numbers of Mobile Restrained are declining. The extended packaging arena is taking off. A dramatic example in the US is the company ‘Big in Japan’ with their mobile app ShopSavvy, for the iPhone, Android and Nokia smartphones. ShopSavvy is a transparent price comparison shopping assistant. Users scan the bar code of any product, ShopSavvy decodes it and searches for the best prices online and through the inventories of nearby local stores using the phone’s built-in GPS. It also provides product reviews, a rating filter, wishlists, scan history and price alerts for when a price drops within your range and provides an integrated payment system for you to purchase scanned items directly from your phone. At the time of press, ShopSavvy had 6.5 million users with 1 million new subscribers every 20 days according to Alex Muse the founder of Big in Japan. When asked about his plans for NZ, Muse said 50% of ShopSavvy users were from the US and 40% from Europe, and his current focus was on Europe, with no plans for New Zealand at this stage due to its size. WiFi can turn a whole municipal, corporate or campus area into a wireless access zone. This opens up mobile internet adoption dramatically, with faster internet speeds than current cellular networks provide, no carrier charges and non-cell phone devices like the iPod Touch able to make calls using VoIP services such as Skype. GPS receivers so the phone knows precisely where you are, enabling location based services (LBS) that leverage your real-time position to find stores, use local search and to receive opt-in proximity marketing material. Since GPS relies on satellite signals, it only works outdoors. GPS has evolved to use A-GPS or Assisted GPS to remedy this in part by combining GPS and cell tower information (CELL-ID). For greatest indoor accuracy, Wi-Fi can be used to get hyper-local positioning for navigating inside buildings and malls. Bluetooth is used for proximity marketing by merchants to push messages to nearby handsets with Bluetooth switched on. A recent example of Bluetooth marketing done well was an integrated campaign Fly Buys ran during New Zealand Music Month, using 20 Adshel mobile Bluetooth hotspots combined with Run the Red’s QR Code and SMS technology. Passersby were offered the opportunity to download free Kiwi music to their phones. The results of the campaign exceeded Fly Buys expectations with 30,000 people responding to the campaign and almost 6,000 download requests during that two week period. Camera and Video are used to do more than capture images. Consumers with data connections and mobile tag reading software can scan product bar codes and be beamed extended packaging information about those products. Augmented Reality uses the phone’s camera to view the physical real world environment with an information layer superimposed on top. To experience AR, try out NZs award winning iPhone app “WorldSurfer” designed by Scott Judson while he was Creative Director at GeoVector Corporation. Accelerometer, gyroscopic and magnetometer sensors built into high-end phones detect how the phone is being moved, its orientation and the direction it is facing. These sensors are important for augmented reality applications to overlay digital information in front of the real world viewed through the phones camera, enabling the software to deduce which Points of Interest (POI) are in the camera view. Near Field Communication technology (NFC), the basis for radio frequency identification (RFID) tags and readers, are predicted to be the next big thing and will enable phones to transact with a contactless reader at point of sale by simply waving the phone over the reader to make the purchase. Only a small number of handsets with NFC capabilities have been launched globally to date, predominantly by Nokia. However persistent Apple rumours, alongside a number of Apple’s patent applications and their recent hire of NFC expert Benjamin Vigier, strongly indicate an NFC-enabled iPhone is on the way. Typical of Apples disruptive innovation, their patents describe using the iPhone to charge the purchase of digital or physical goods through Apple’s proprietary iTunes account, potentially limiting the interchange paid to banks and extending iTunes’ influence at the point of sale. Another patent describes the iPhone enabling person-to-person payments. Peripheral gadgets are also popping up that, for example, turn your phone into a credit card reader for swiping and processing cards like the “Square” (created by Jack Dorsey the founder of Twitter) which plugs into an iPhone, or its competitor by Intuit and Mophie. The popularity of mobile applications popularity has been driven by proliferation of smartphones like the iPhone and either come pre-installed on the device or are downloadable by the consumer from app distribution marketplaces such as Apple’s App Store, Google’s Android Market, RIM’s App World, Windows’ Marketplace for Mobile or Nokia’s Ovi Store as well as a number of 3rd party marketplaces. Apps are limited only by the capability of the devices they are running on, and with over 550,000 apps built for mobile so far there is an app for practically anything! The craze of smartphone apps is driving brands to build apps with high build cost. Mobile coupon apps enable consumers with GPS phones to check for nearby businesses offering special deals. If you are in the Wellington region and have an iPhone try out NZ’s first location-based voucher book for the iPhone “Dealjunkie” designed by Brady and Matt Thomas. The US mobile coupon legend is Groupon, now worth over $1b. Mobile loyalty apps that reward people for visiting them or entice them in to capture discounts e.g. Subway ordering app. 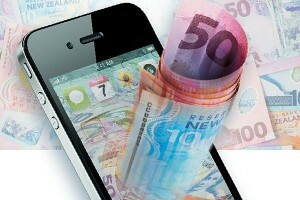 Loyalty NZ plan to launch an iPhone app later in 2010. NZ’s largest loyalty program provider Carlson Marketing also have app development on their immediate product roadmap. Foursquare, an international location-based social app that rewards users for checking-in to a venue with prestige badges, “mayorships”, and special deals which progressive local merchants are utilising. Banking apps, such as ANZ National Bank’s iBank app and Westpac banking app for Australian customers and on the roadmap for the other major banks. MOBILE BROWSERS on smartphones and some feature phones are capable of rendering a full web experience. However with resource constraints of mobile handsets and a highly fragmented hardware market, it is important for retailers to optimise their websites to also fit the mobile lifestyle and technology. Consider the contextual browsing intent and device demographic of your mobile customer. Keep in mind the varied form factors of mobile phones, tiny screens and big fingers, portrait vs. landscape orientations and input methods as well as expensive data plans and slow carrier network speeds. Ensure your PC website capability detects for mobile browsers automatically serving a suitably optimised mobile version with ‘graceful degradation’ and adaptive CSS. Don’t use Flash, do use the new HTML5 standard and don’t forget SEO. Amidst all the hype and excitement around mobile apps, it’s important to be cognisant of the higher penetration and usage of mobile browsers as compared to mobile apps. With HTML5, the open-platform WebKit for the main smartphone operating systems and, taking advantage of a touch screen, geolocation, or address book functionality, a mobile website or web app experience can be as compelling as a native app at a far more affordable development cost. Is that an innovation opportunity for New Zealand? 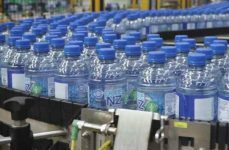 Yes, however we face an issue locally, according to Peter Stevens, CEO of GS1 New Zealand, the world-wide eCommerce industry standards authority for bar codes, RFID and data synchronisation. In NZ, there is not yet a strong ‘accredited’ source of local product and store information which has meant retailer interest has been low. GS1 NZ is the single official local source for GS1 barcode numbers and standards to ensure they are unique globally. If manufacturers source unauthorised numbers, integrity of the GS1 standards system is at stake. This creates confusion in the market, disrupts supply chains and manufacturers may suffer losses if their products are rejected by retail. So as we are amidst the ‘wild west’ of new and rapid mobile innovation it is important to also future proof for its success using industry standards. Eric Schmidt, CEO of Google recently said: “One in three queries from smartphones is now around where I am. Our mobile search traffic grew 50 percent in the first half of 2010 and it’s growing much quicker than everything else”. Location, Mobile and the Cloud are where Google is dedicating its attention. Watch this space as Google continues to evolve and integrate their existing products such as Google Places, Google Product Search, Google Checkout and their newly acquired visual search shopping technology with their mobile priority. If you have an Android phone then try their new Google Shopper and Google Goggles apps. Google is gathering a vast database of location based information from our GPS smartphones as we use their apps, mapping cell tower information with the GPS latitude/ longitude coordinates of POI (Points of Interest). No doubt this is towards Google’s evolution strategy from traditional one time explicit searches (a keyword search from your PC or phone), to their future view of persistent implicit search that incorporates collaborative filtering using your social graph and location to power automatic searches for you happening live all the time via your phone. The convenience and omnipresence of NZ’s eftpos ecosystem means there is currently only incremental benefit for people to move from paying for everything with their eftpos card, to using their similarly portable phone. It will be the cumulative effect of multiple functions coming together on the one handset that will have people ditching their cards for an all-in-one device. NZ has one of the highest percentage uptake of eftpos in the world. So while the world explores near field communication (NFC) and related technologies to enable and simplify mobile payments, NZ has mobile eftpos terminals to burn. For this reason it is eftpos-related innovations that have emerged. Auckland company POCKETvoucher’s trackable SMS voucher offering stands out with their real-time validation via the eftpos network at point of purchase. Otago-based company EFTPlus technology integrates seamlessly with eftpos to provide merchants with sophisticated POS market intelligence. 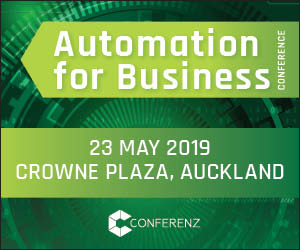 The network setup in NZ with only two main players in the market, Paymark and EFTPOS NZ, has meant rolling out these technologies in NZ have been easier than into Australian and offshore markets where the eftpos landscape is more fragmented. Examples of rapid adoption of new payment methods can be seen in developing markets with limited banking facilities. For example, in Kenya the leading network operator Safaricom introduced a nationwide mobile banking service M-PESA enabling Kenyans to transfer money via SMS. In a country with limited financial service infrastructure but with a population familiar with mobile topups, it has had a huge uptake. Moving money from under the mattress into stored value accounts with their telco was a familiar, safe and compelling alternative. Dewe points out that the payment services that do succeed in developed markets tend to be tied around niches. An example is Fronde Anywhere’s Txt-to-Park technology, a NZ success story and one of the best examples of mobile parking in the world, processing more revenue per capita in NZ than equivalent parking services in the US. The key factors to Txt-to-Park success was providing an open system that was carrier agnostic and accessible from any of the cellular networks, keeping the user experience deliberately simple, and designing an attractive alternative to the traditional method. The choice of not having enough cash and getting a ticket vs. being able to send an SMS to pay by phone is easy. Another local example of an open system that’s providing an attractive mobile alternative to traditional cash is Wellington based company, Snapper. They have created a payment category using contactless smartcards to speed up the transaction for small value items. Unlike the Oyster card in London, Snapper’s open payment system services Wellington’s public buses, as well as 850 taxis, plus any retailers who have the Snapper reader plugged into their existing terminal. As Miki Szikiszai, CEO of Snapper explains: “Payments need to be open to work. You can’t have a single phone manufacturer own it, nor should it be owned by a telco.” Snapper’s platform is device agnostic with smartphone apps on the roadmap for use on NFC enabled handsets. There have been 100s of highly successful contactless payments trials globally, typically in closed loop environments, such as large sporting events and shopping malls that give retailers an opportunity to participate, such as bars, restaurants and shops wanting to move people in and out quickly. Consumers like using their phone for proximity payments, but beyond these trials, the biggest issue is who will pay for the infrastructure. In a lot of markets the merchants do, however they are not so interested in mobile payments. What merchants want is a cheap, effective and efficient means for their customers to pay. Consumers will use it, so the question is about the benefit to the merchant since they will be the ones paying the fees and the new hardware at the end of the day. Dewe has found that there are a lot of financial institutions that are really well committed to NFC, but one of the things some are grappling with is telcos trying to lock down the real estate on the device or the SIM card for NFC applications. She anticipates NFC will happen a lot slower than people think, with the biggest issue being who pays for the roll out of the point of sale, and the time that will take. The time may well be sooner for New Zealand than other developed countries however. The Rugby World Cup could well provide a tipping point on New Zealand’s mobile payments stage, given our size, the timing of the RWC and with MasterCard as their major sponsor. The Olympics in London provided an opportunity to upgrade local infrastructure as did the FIFA World Cup in South Africa. The RWC next year gives merchants a strong incentive to upgrade their POS systems for contactless payments. When the time comes these same merchants would then be ready to transact with consumers payment enabled smartphones. MasterCard says their plans around their PayPass Tap and Go product will be revealed at their launch event in Auckland in October. Once an NFC system is integrated into the smartphone, a world of possibilities opens up. You could use your smartphone’s screen as a secure numeric pad for inputting your PIN or using the smartphone’s sensors as a more secure user-ID detection system. Location data sent over the phone’s data network could also ensure greater security, to verify the handset is being used where it says it is. It also creates an opportunity for retailers to send data back to the phone in the form of a receipt, loyalty reward points or opt-in request for offers. Open Source, as seen with PHP, and more recently with Google’s Android platform is bringing costs down and providing a far more affordable entry level for more companies. Magento an open-source eCommerce application by Varien with 2+ million downloads and an anticipated 300% sales growth this year, has launched what it is touting as the first mobile commerce platform. According to Kyle Aspinall, MD of Exceed Online, a full service eCommerce Agency serving NZ and Australian retailers, there is strong interest in Australasia for Magento’s new mobile platform. SaaS, providing scalable remote computing power that takes care of everything, from hosting, upgrades, patches, security, compliance etc. Multi Channel and Personalisation, real integration back into offline systems, with a single view of a customer. What happens instore is reflected immediately online or on mobile from loyalty points, purchasing history, building personalised profiles and providing a customised edition of the store, based on the user. Transparent pricing, such as mobile apps ShopSavvy and RedLaser. Customers scan product barcodes at brick and mortar stores and check prices. eBay has just acquired Red Laser. Bid buying, for last second savings, such as PriceLine.com. Private invitation, membership only, driven by time-based selective deep discount flash sales, such as Gilt Groupe and Ru La La; or by social loyalty, rewarding people for certain behaviour, including sharing with your friends, watching videos, checking out different sites or reading some ebooks. Examples are Lockerz in the US or NZ’s HooHaa mobile SMS marketing channel where you earn points including Fly Buys loyalty points for receiving personalised offers. Group buying, time based “One-Deal-a-Day” sites, volume threshold before a coupon can be redeemed, motivating people to encourage their friends to buy. Pioneered by Woot.com in 2004 and now there are huge numbers of copy cat businesses – over 25 and counting in NZ alone. The mobile coupon site Groupon is a runaway success, valued at $1 billion USD. Immediate gratification over the air (OTA) instant digital product plus content delivery e.g. Shazam mobile application listens to what music is playing in the real world around you, identifies the music and gives you the option to download the music directly from the iTunes store.